YouTube has an autoplay feature that automatically starts playing a new video after you finish watching a video. Autoplayed videos are related to your viewing history and are supposed to help you discover more great videos. You can turn off autoplay on YouTube if you find it invasive or if you simply aren't interested in watching more videos. Follow these steps to learn how. 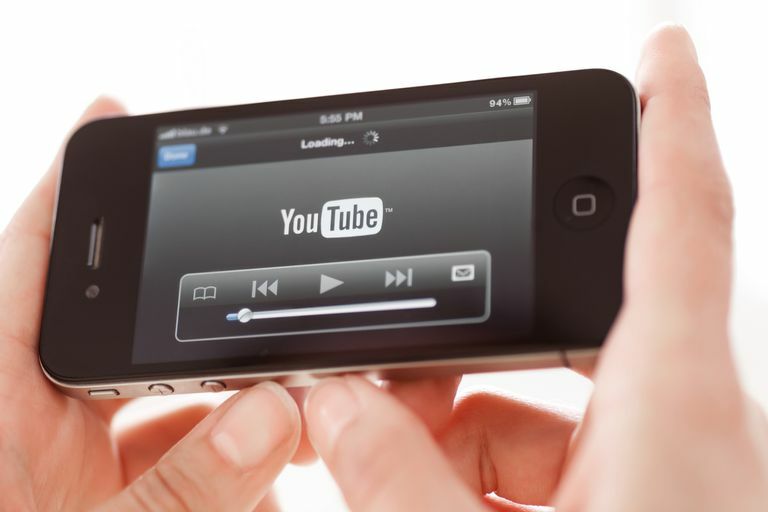 Navigate to YouTube.com in a desktop web browser (Google Chrome, Firefox, Safari or any other preferred browser). If you're not already signed into your Google account, select the blue SIGN IN link in the top right corner to enter your login details and sign in. You don't necessarily need to sign into your account to turn off autoplay since the feature is turned on by default whether you are or aren't signed in. The benefit of signing into your account is that when you turn off autoplay, it will be turned off across your account — no matter which machine or device you access it from. Search for or select any video to go to its page and start watching it. You don't have to watch the whole thing and can select the pause button to pause it. Switch the AUTOPLAY button off in the top right corner (above the Up next videos) so that it changes from blue to gray. Select the gear icon at the bottom of the video player to access its settings and then switch the Autoplay setting to off so that it changes from red to gray. Select the play button on the video player to continue watching the video until the end or drag the red dot along the video player timeline to fast forward to the last few seconds of the video, then select play. If you successfully turned off autoplay, the video will end normally and a new video will not start playing automatically. The following instructions are the same whether you're using the YouTube app for Android or for iOS. They also apply to YouTube.com on a mobile web browser. Open the YouTube app or visit YouTube.com in a mobile web browser. If you're not already signed into your account, tap the profile icon in the top right corner to enter your login details and sign in (or select an existing account you've connected already). Similar to YouTube.com on the desktop web, you don't necessarily need to sign into your account on the app or the mobile site to turn off autoplay. The feature is turned on by default whether you are or aren't signed in. Signing in just helps to streamline your autoplay setting across your account no matter where you sign in from. Search for or select any video to go to its page and start watching it (without setting it to full screen). If you don't want to watch the whole thing, select the pause button to pause it. Look for the Autoplay button, beneath the video player and directly above the the Up next section. Select it to turn it off so that it turns from blue to white. Videos won't autoplay if you're connected to a mobile network and have not been active for at least 30 minutes. When connected to Wi-Fi, autoplay videos will stop playing after a maximum of four hours. Select the play button on the video player to continue watching the video or alternatively drag the red dot along the video player timeline to fast forward to the last few seconds of the video. Select play. The video should end normally and you won't see a new video start to play automatically.